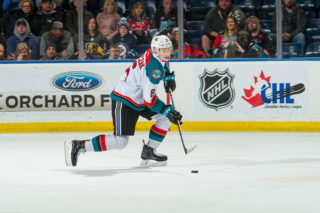 The Kelowna Rockets fell 9-6 to the Seattle Thunderbirds on Wednesday night at Prospera Place in Kelowna. Seattle jumped out to a two goal lead before the midway point of the opening frame collecting goals from Noah Philp(1) on the power play and Andrej Kukuca(2). 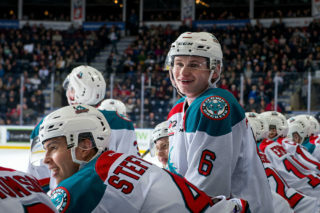 Nolan Foote(3) got Kelowna on the board on a Rockets power play at 13:28, but Philp(2) responded for the T-Birds on another Seattle power play to make it 3-1. Philp(3) completed his hat trick at 15:52 of the first extending the Thunderbirds lead to 4-1, but Leif Mattson(7) cut into the lead for the Rockets in the final two minutes. 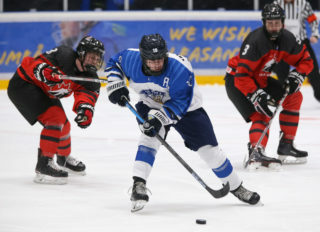 With 8.2 seconds to go in the first period Zack Andrusiak(4) regained that lead for Seattle, and it was 5-2 Thunderbirds after a wild opening 20 minutes of play. In the middle stanza Jaxan Kaluski(1) scored for the T-Birds to make it 6-2 in Seattle’s favour. 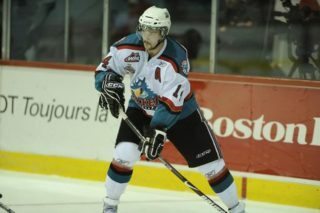 Kyle Crosbie(1) scored his first career WHL goal for Kelowna midway through the period. Less than a minute later Conner Bruggen-Cate(1) ripped a shot from the point that found the top corner and Kelowna only trailed by two. Seattle collected a goal from Simon Kubicek(1) before Noah Philp(4) scored his fourth of the evening and third power play goal before the period was out to give the Thunderbirds a 8-4 lead heading into the final frame. In the third Leif Mattson(8) scored his second of the night to bring the Rockets back within three, but Kubicek(2) responded with his second for the T-Birds to regain that lead once again. Lassi Thomson(4) added one more late in the game for Kelowna but Seattle would take this one 9-6. 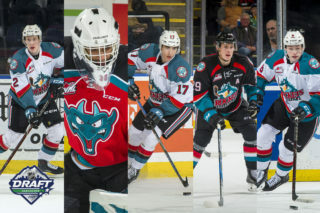 James Porter made the start for the Rockets stopping 7 shots on the 11 he faced before Roman Basran came into the game following Seattle’s fourth goal. Basran stopped 21 of 26 shots he faced in Porter’s relief. Porter’s record drops to 1-4-0-0. Kelowna’s record falls to 1-8-0-0. The Rockets are back in action on Friday night when they head to Kennewick, WA. to take on the Tri-City Americans for a 7:05pm puck drop. Those two clubs then head straight back to Kelowna for a Saturday night rematch at Prospera Place. Puck drop on Saturday is at 7:05pm.